Embracing an on-the-road lifestyle and downsizing your belongings doesn’t necessarily mean sacrificing style. 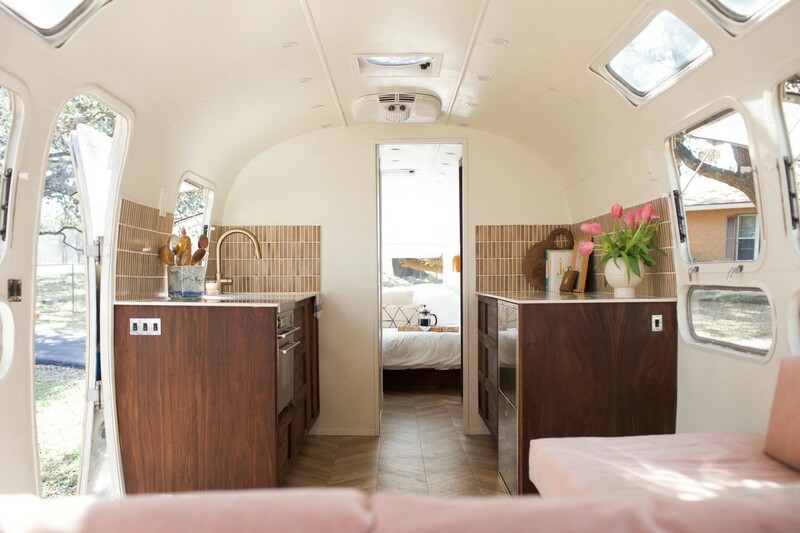 Kate Oliver and Ellen Prasse renovated an old Airstream into a chic and sophisticated living space. The ambitious couple, who run renovation company Modern Caravan, had their work cut out for them from the beginning. 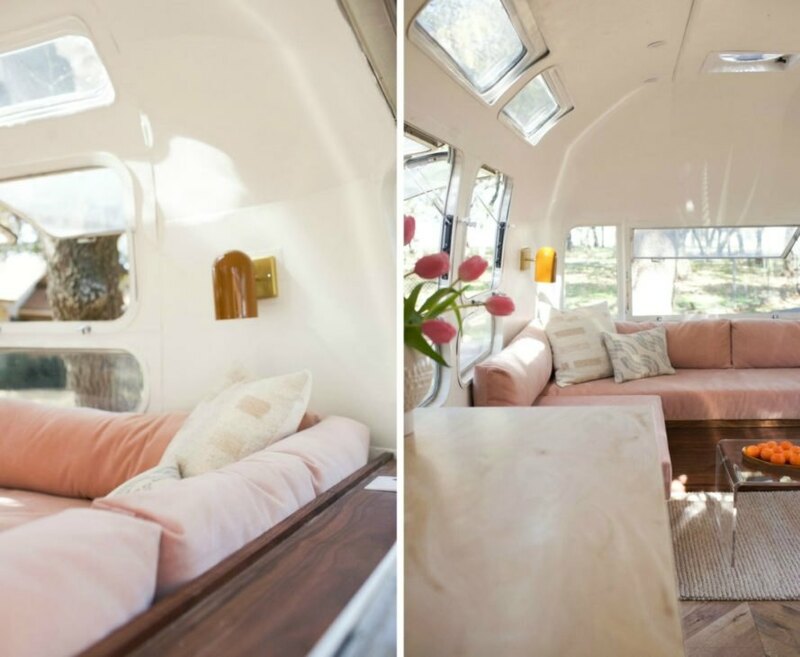 The camper needed a massive structural renovation including waterproofing, restoring windows, and creating an entirely new interior. Once the stage was set, the couple got to work on a gorgeous interior design for the 200-square-foot home. 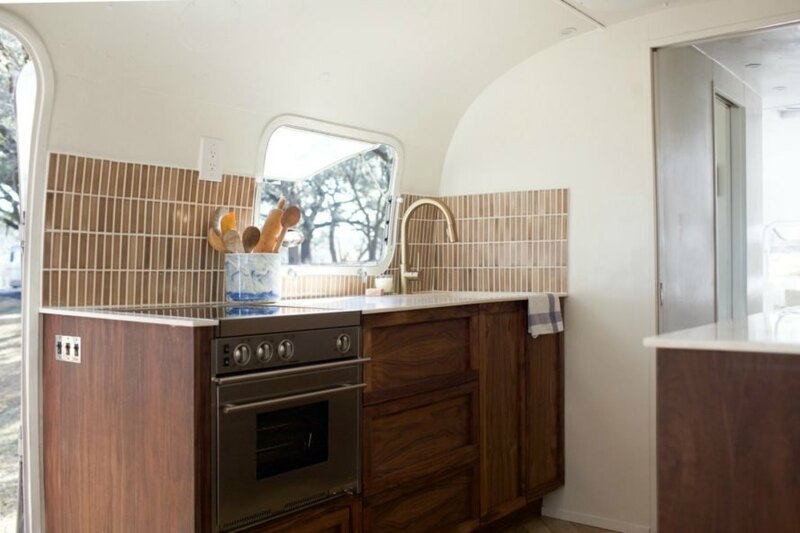 The couple started the Airstream renovation by gutting the interior and reinforcing the camper’s overall structure. 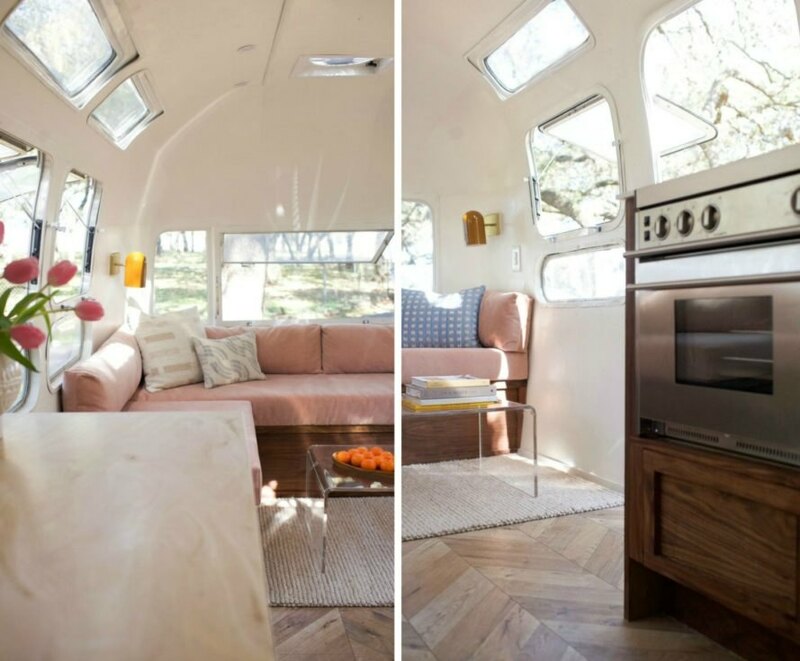 They fixed and waterproofed the rotted windows and gaps to properly insulate the home, and they installed new axles and a solar-powered electrical system on the caravan. From there, Kate and Ellen began to design custom furniture to make the interior space as efficient as possible. Every piece of furniture has its place, resulting in a clutter-free living area. A beautiful rose-colored sofa with hidden storage compartments is at the heart of the living room, which is well-lit by natural light. Although it is fairly compact, the kitchen rivals that of any contemporary home. To make the most out of the space, Ellen cut and fitted the cabinets herself. Nine feet of counter space, a deep sink and plenty of storage make the area extremely functional. 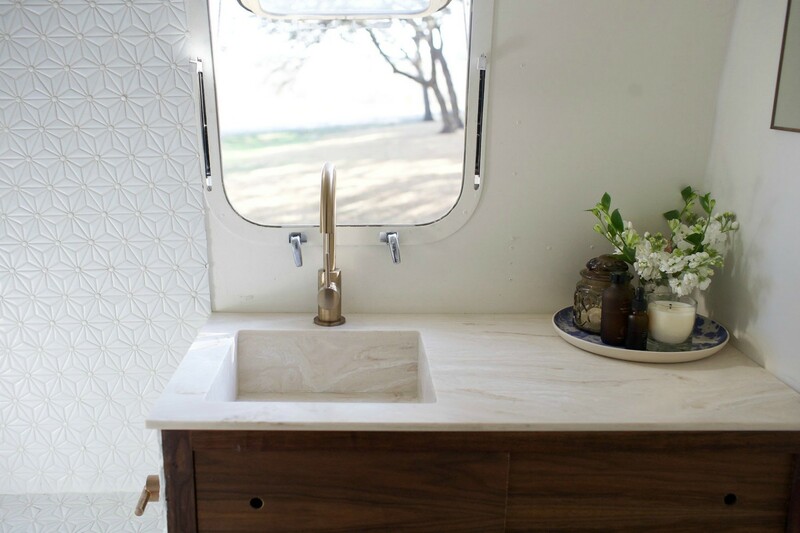 The couple started the Airstream renovation by gutting the interior and reinforcing the camper's overall structure. They had to fix and waterproof all of the rotting windows and gaps. They installed new axles and a solar-powered electrical system. 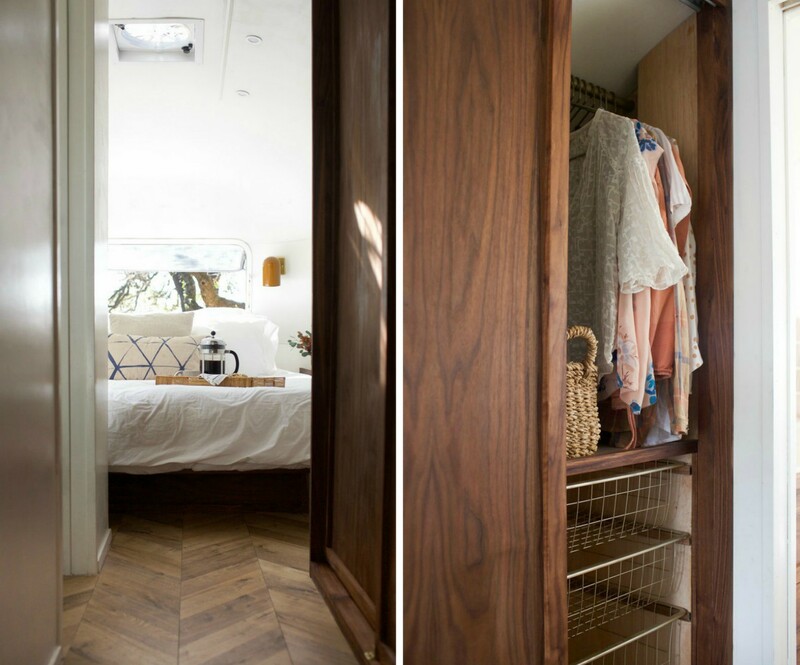 Kate and Ellen built custom-designed furniture to make the interior space as efficient as possible. Every piece of furniture has its place, resulting in a clutter-free living area. 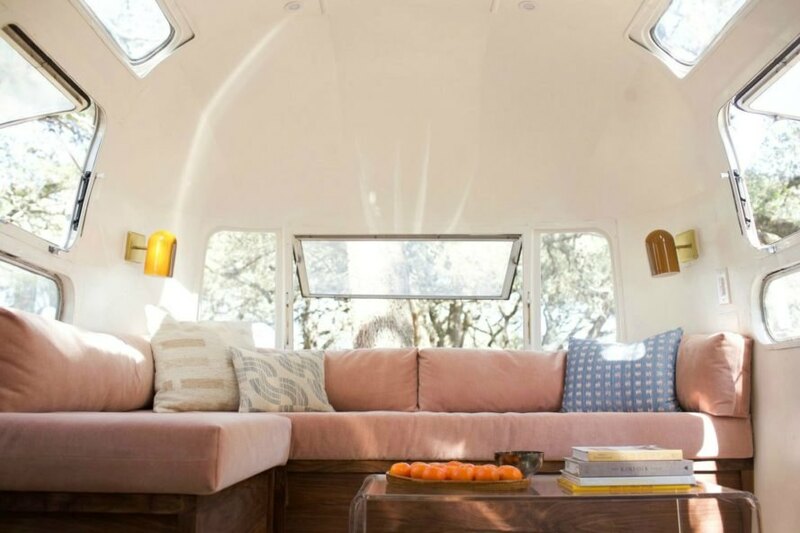 The couple realized that they had a knack for design, and have since turned that savvy into a business: The Modern Caravan. The bathroom is compact, but beautifully designed. The couple installed storage space wherever possible. The living space is well-lit by natural light. A beautiful rose-colored sofa with hidden storage compartments is at the heart of the living room.